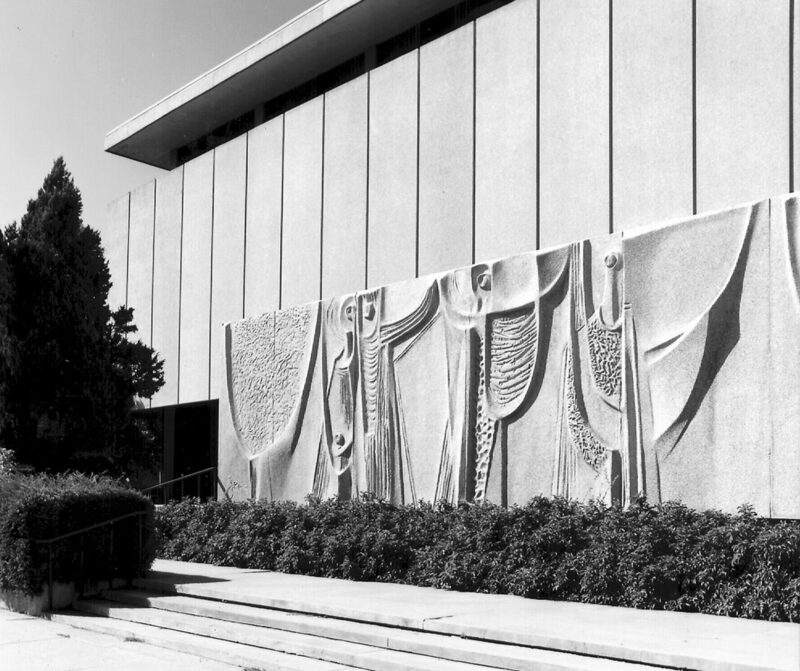 A Salt Lake City landmark that introduced New Formalism to the Intermountain West. 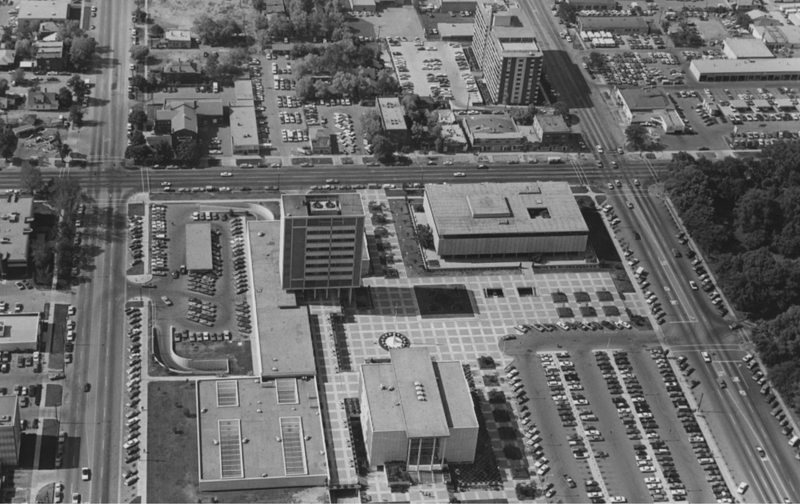 In 1962, Salt Lake City set out to revitalize its downtown core. Imagining a modern city that would integrate transportation, business, entertainment, and recreation, the city’s Second Century Plan called for the creation of parks, courts, a civic center—and a library. EDA’s design for the Main Public Library building—today occupied by The Leonardo museum—would become an iconic architectural work, and introduce the New Formalist style to the city and the state. 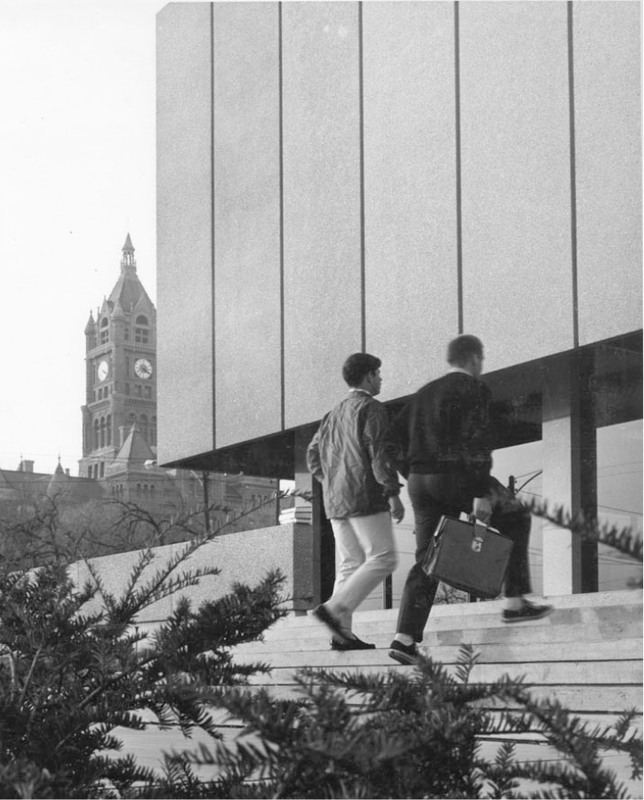 Sited opposite Salt Lake City’s romanesque-revival City Hall Building, the Main Public Library needed to complement the ornate architecture of its neighbor while offering an inspiring vision for the future of Salt Lake’s built environment. More than just a building, the project aimed to create a cultural institution: a destination for education and knowledge, designed to project the city’s renewed aspirations and built to endure. 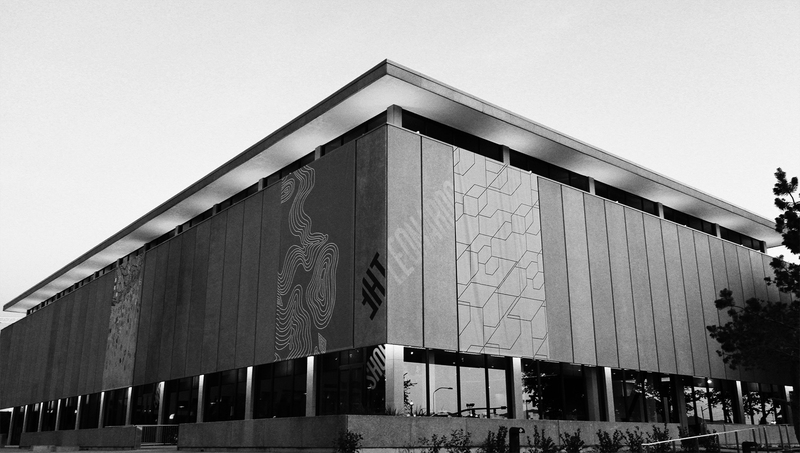 As the main branch of the Salt Lake City Library System, the building would house over 700,000 volumes, a fine arts department, and a rare books collection. In addition, the design would provide a 500 seat auditorium, and parking and storage for library and employee vehicles. EDA set out to carefully solve for these functional requirements, while creating a timeless design that would enable the building to evolve. 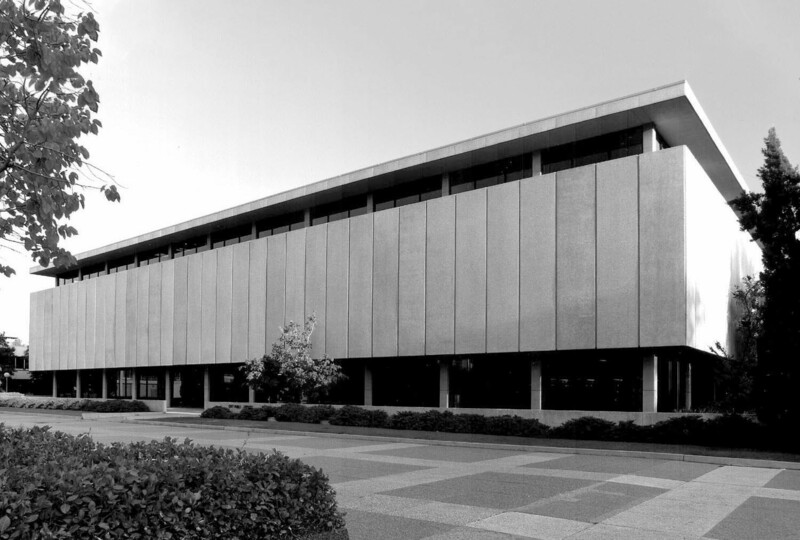 To establish the Library’s identity as a cultural institution, the five-story building stands on a stylobate (raised platform), evocative of classical greek architecture but executed in the refined modernist style of New Formalism. Precast concrete panels on the building’s upper floors seem to float above a glass-sheathed ground story, lending the building a light, yet solid appearance. This clean, rectilinear plan culminates in a glass-walled fifth story, topped with a flat projecting roofline. To create a modernist building that could stand up to the mountains, EDA depended on regionally sourced materials. Masonry’s durability, ready availability, and thermal qualities had made it the preferred building material in Utah dating back to the pioneers. 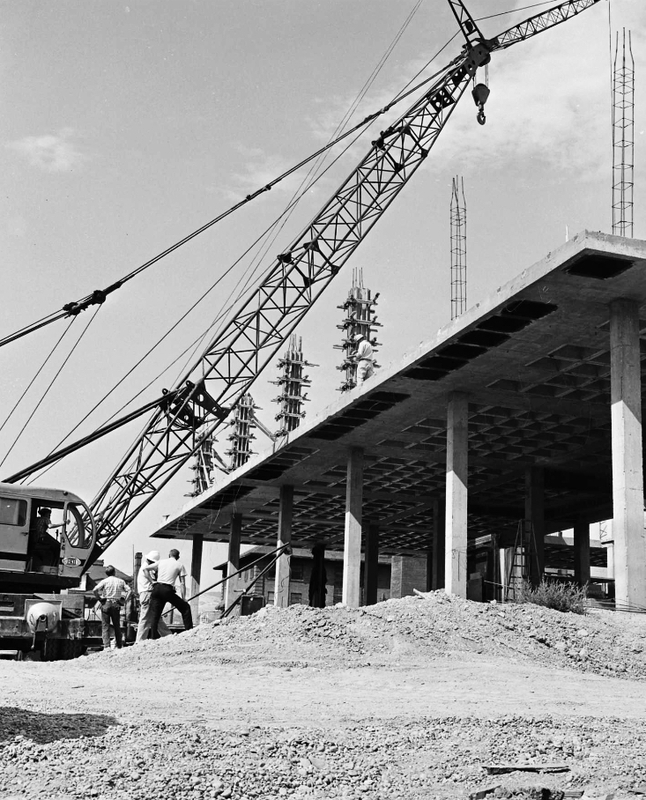 Sheathing the building in locally produced, precast concrete panels represented an elegant and modern reinterpretation of this tradition. It also allowed for one of the building’s most distinctive features: the integrated sculpture Songs of Innocence that highlights the building’s entrance. 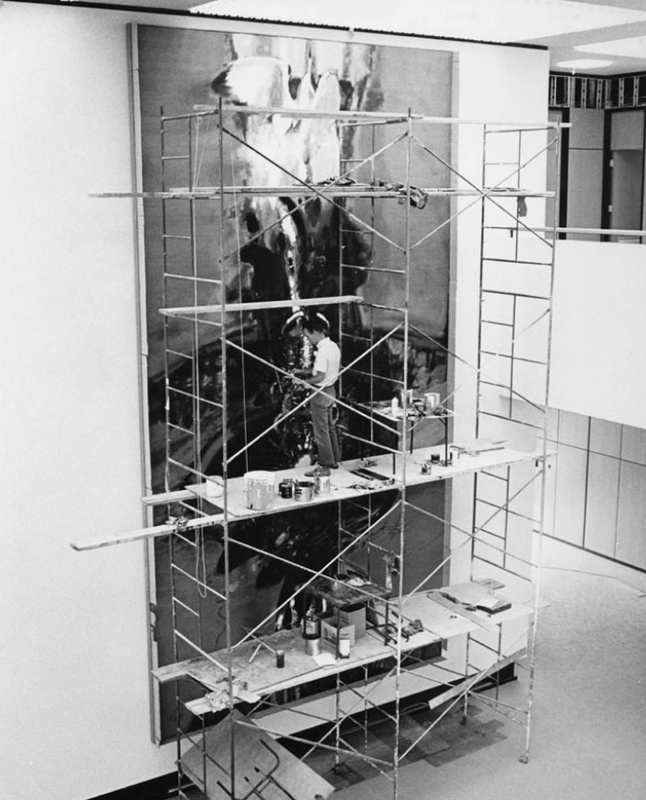 Produced in collaboration with the artist Jo Roeper—a nationally renowned sculptor who was teaching at the University of Utah at the time—this abstract piece represents an early collaborative work of modern art and architecture in Utah. 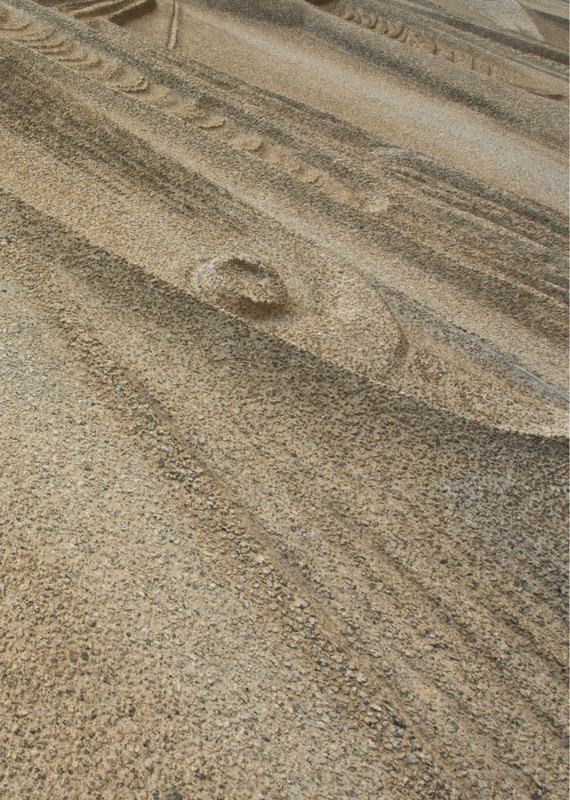 Cast from the same material and by the same company as the building’s exterior panels, the piece is completely integrated into the architecture of the building. Emblematic of the building as a whole, it pays homage to traditions of cultural expression in civic buildings that go back millennia—executed in a thoroughly modern way. The founders of EDA would revisit this signature New Formalist style in their historic renovation of the Weber County Public Library.